It is vital to your pet’s health to keep their vaccines up-to-date in order to protect them from highly contagious and deadly diseases. This is true even for pets that are kept mostly indoors. Many contagious diseases are airborne or spread through contact between the ground and the soles of your shoes and your pet could easily be exposed. Public places such as boarding facilities, dog parks, grooming salons and even your sidewalk or street during a walk are all areas where exposure to various diseases is likely. Vaccines should be given by a licensed veterinarian, not by an owner or breeder. One reason for this is that your pet should be examined by a vet in order to determine if they are in good health before being vaccinated. The other reason is that vaccine manufacturers only provide a guarantee for vaccines given by licensed veterinarians. Part of the reason they are able to make this guarantee is the fact that they only sell vaccines to veterinarians. The vaccines that are available at feed stores and other retail locations have not been sourced directly from the vaccine manufacturer, and therefore are not guaranteed because the manufacturer cannot ensure the vaccine was stored properly during transport, while waiting to be sold and while in the consumer’s possession once sold. Vaccines must be kept at a certain temperature at all times. If not, the vaccine is no longer effective and your pet will not be protected against serious (and sometimes deadly) diseases. Vaccines should start for both puppies and kittens around 6-8 weeks of age and should continue every 3-4 weeks until approximately 16 weeks of age. This is due to the decrease in antibodies the pet has received from their mother. It is during this time that puppies and kittens need to start building their own immunity through vaccinations. For some dog breeds, that are more susceptible than others to diseases like Parvo (such as Pit Bull Terriers, Chihuahuas, Rottweilers and many more), vaccines should start at 5-6 weeks of age. Around 1.5 years of age, your pet will need booster vaccines. After that, your pet will need additional boosters in 3 years for the core vaccines. Other common non-core vaccines are given at slightly different intervals. Core vaccines are definitely recommended and in some cases required, such as Rabies. Non-core vaccines are optional but still recommended, depending on your location and places your pets travels to. While it sometimes seems to pet owners that vaccines are an optional expense of owning a pet, they are some of the most important things you can do to provide a healthy and happy life for your pet. The cost of vaccines and related exams is very small compared to the cost of emergency care for your pet once they become infected, or worse, losing your pet altogether. The core vaccines for dogs are Rabies and DHPP (4-in-1: Distemper, Hepatitis, Parvovirus, Parainfluenza). After the initial series of vaccines, both the DHPP and Rabies vaccines require a booster one year from the last vaccine. After the one-year booster, dogs should receive additional boosters every 3 years. The common non-core vaccinations for dogs are Bordatella and Leptospirosis. After the initial series of vaccines, the Bordatella vaccine can be boostered every 6-12 months, depending on your boarding or grooming facility’s requirements. The Lepto vaccine requires yearly boosters starting one year from the last vaccine. If you have recently adopted a new dog that is older than 16 weeks and are unsure of their vaccine history, it is recommended that they receive the DHPP, Rabies, Bordatella and Lepto vaccines, then receive an additional booster 3-4 weeks after that for all of the vaccines except Rabies. From there, the Dog can proceed with the next booster in a year for all four vaccines and then boosters every year (Bordatella & Lepto) or three years (DHPP & Rabies) moving forward. The core vaccine for cats is the combination FVCRP (Feline Viral Rhinotracheitis, Calicivirus, Panleukopenia). After the initial vaccination, FVRCP requires a booster one year from the last vaccine. After the one-year booster, cats should receive additional boosters every 3 years. The non-core vaccines for cats are FeLV (Feline Leukemia Virus) and Rabies. If you’ve recently adopted a new cat that is older than 16 weeks and are unsure of their vaccine history, it’s recommended that they receive the FVRCP, FeLV and Rabies vaccines, and then receive an additional booster 3-4 weeks after that for FVRCP and FeLV. From there, the cat can proceed with the next booster in a year for all three vaccines and then boosters every year (FeLV & Rabies) or three years (FVCRP) moving forward. 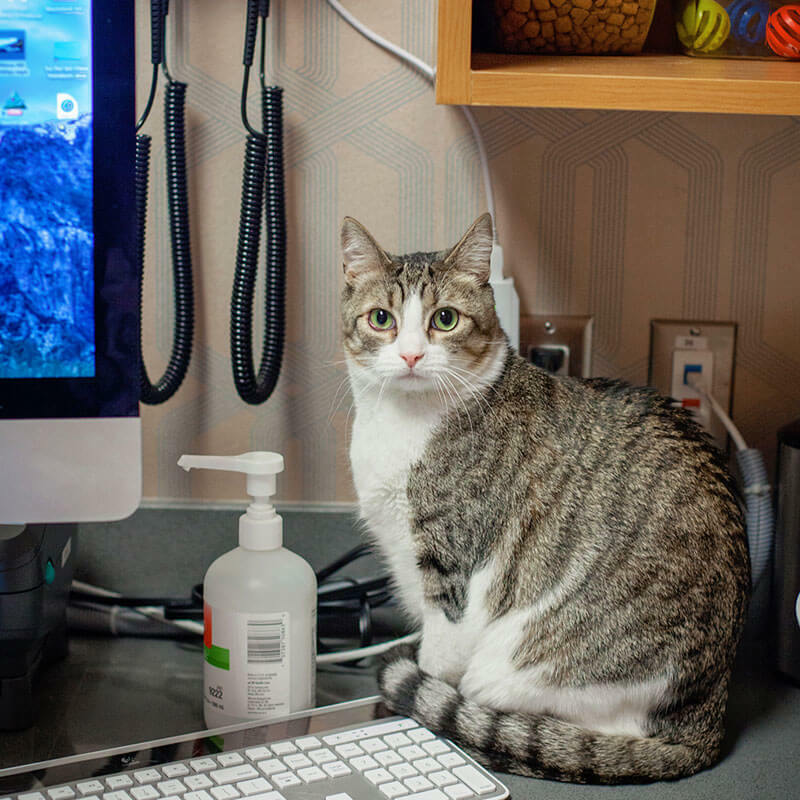 The staff at 1st Pet Veterinary Centers is dedicated to helping your pet have a long, happy and healthy life. Please contact us for more information and to set up a pet vaccination appointment today.